Brr! It’s been cold here in sunny Florida! Nothing like seeing our little sunshine babies all bundled up because it’s 55 degrees outside! 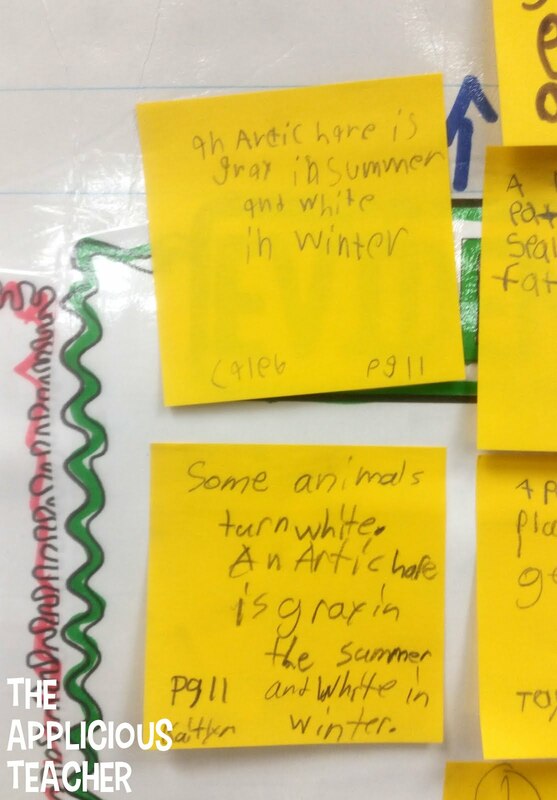 To help my seconds get in the “cold” spirit, we started in on an Arctic Thematic Unit. This unit took us a better part of two weeks to get through so I’ve split the post in to two parts! I am so excited to share our first week of arctic happenings with you! To start off our unit, Miss Perry (My wonderful intern!) worked to build a Winter Word A-Z list. We used this to prime my kiddos for our upcoming unit, but also to see what vocabulary we already had related to our topic. Have you ever done an “A-Z” list? It’s a great way to get kiddos thinking about a topic and to build vocabulary. As we work through our study, we’ll add new words to our chart. It is always hanging up so students can reference it through out the next two weeks! I needed my beach and sunshine kids to understand what the arctic actually was! We used this text to introduce ourselves to the extreme climate in the far north. As we read, we worked to discuss questions and answers that could be answered by reading this text. 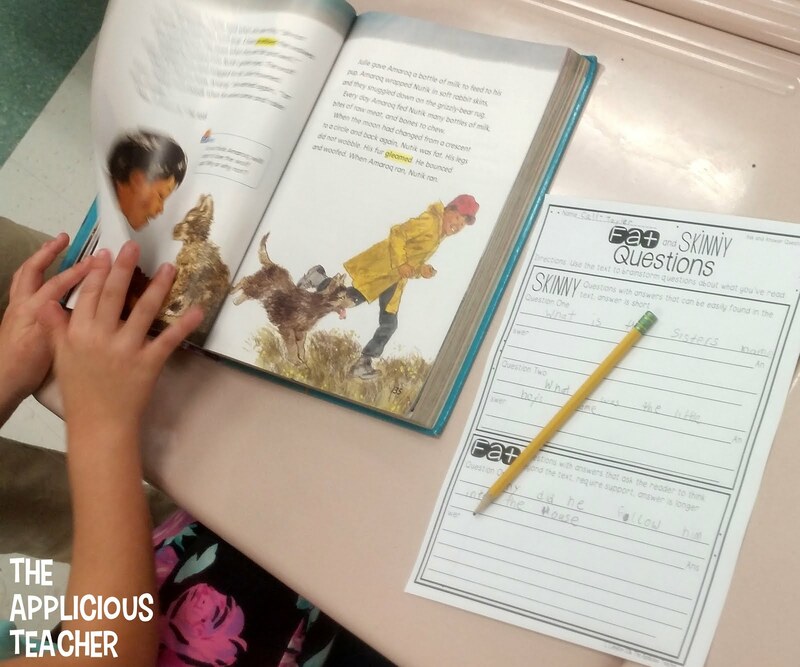 “Fat Questions” are questions that require the reader to look beyond what is stated from the text. They often require the reader to infer or form an opinion. These questions often need more than one sentence to answer them fully. “Skinny Questions” are questions that are easily found right there in the text. They require little thinking from the reader and only need a sentence to answer. On our second read of the book, I had students work in pairs to brainstorm one fat question and one skinny question. We then sorted our “fat and skinny questions” on to our Interactive Anchor Chart. 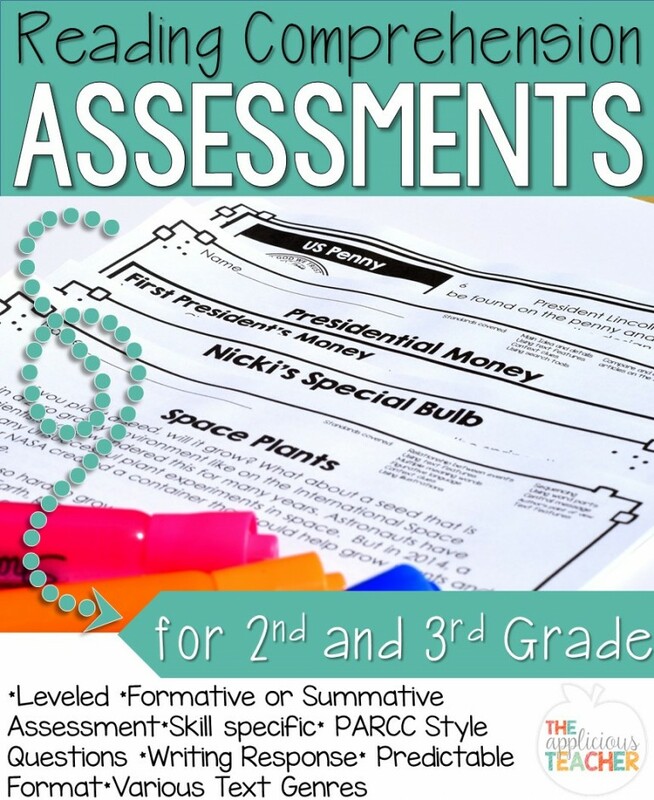 This chart is found in my second set of Interactive Anchor Charts. For our last read of the book, we worked to understand why the author wrote this text. Using my Author’s Purpose Interactive anchor chart, we brainstormed why the author wrote the text. Then, I sent the kiddos back to their text to find supporting details for our purpose. As they found their supporting details, I encouraged the students to cite the page number where they found their evidence. This was our lead in for a different skill we were working on the following week. 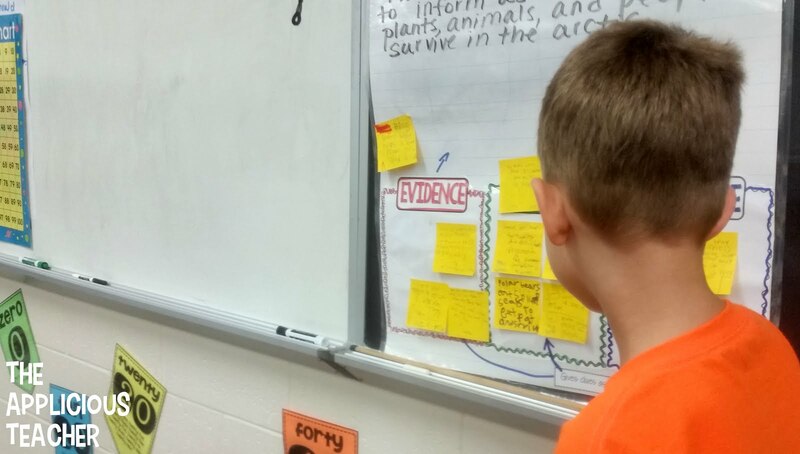 Once all our stickies were up, I had the students lead the discussion of their evidence. Taking turns, each student read their cited evidence. In turn, the class decided if the evidence did in fact support what our author was trying to teach us. Such a great way to get kids to take ownership of their learning while building those speaking and listening skills! Later in the week, we applied our new found questioning strategies to a fictional text from our old reading series. 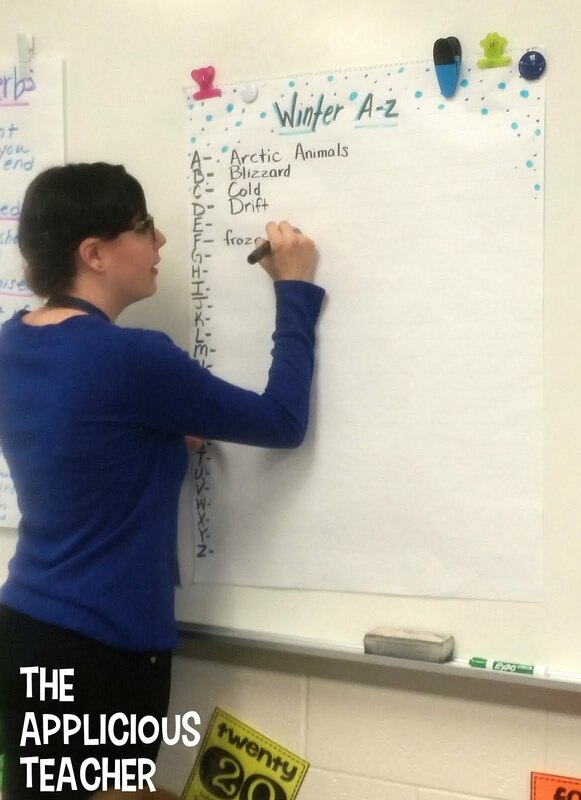 “Nutik, The Wolf Pup” went perfectly with our arctic unit and it is such a great story to boot! 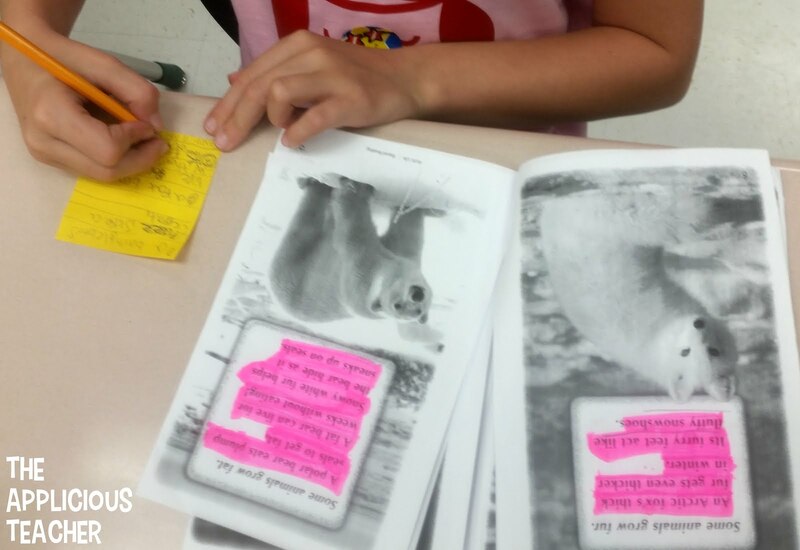 In pairs, students read the text, then worked to write two “Skinny Questions” and one “Fat Question”. When they were done, students switched their questions with a different group and worked to answer each other’s questions. You can grab the questioning sheet we used for FREE here! Want to see the rest of our arctic unit? Click here to read the rest! Hello! If you have an Reading A-Z account, it shouldn't be an issue. Just print them back to back. Then you can sort the pages and staple in the middle! Hope this helps!